Protect your paint finish from road debris. Protect your car’s finish from rocks, sand, bugs, road debris and scratches…all while maintaining that “better than new” shine. Our Las Vegas based Paint Protection Film installation team guarantees a perfect fit and the safety of your paint. 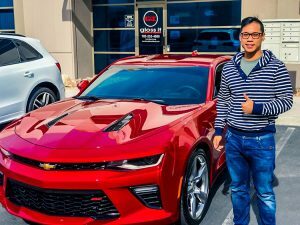 Gloss-It Detail Studio has been providing the highest quality PPF (Paint Protection Film) paint protection in Las Vegas, NV for more than a Decade. Our Clear Shield protects the leading edge of your vehicle from damage caused rocks, gravel, salt or insects through the application of a thin, virtually invisible urethane film. Clear Shield Paint Protection Film is a rugged eight mil (.008”) clear urethane plastic employing a clear-coat finish for maximum shine and is a form fitting alternative to conventional bras, providing superior protection while maintaining the original look and integrity of your car. It will not damage the surface of the your car and is safe for all painted finishes including powder coated items. Las Vegas’ Clear Shield Paint Protection Film is warrantied not to yellow, crack or peel for a full 5 years after installation. 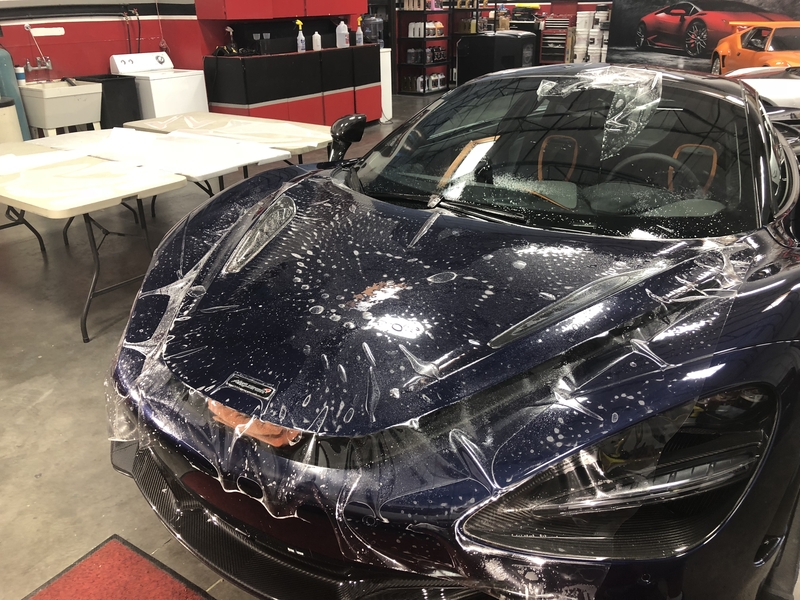 Our Clear Shield Las Vegas Paint Protection Film has become very popular over the years and a lot of shops are jumping on the trend…but don’t be fooled: the install process is as important as the film. It is a given that Las Vegas Based Gloss-It Detail Studio uses the best products, but the true difference is in the process. Many cars have pre-engineered patterns that ensures a perfect fit every time. This process also ensures that no film is every cut near your car. Don’t be fooled by someone that says pre-cut has less value – the risk you take by having an inexperienced installer cut the film during the install will be apparent years later when the film is removed and there are paint scratches in the shape of your clear bra. 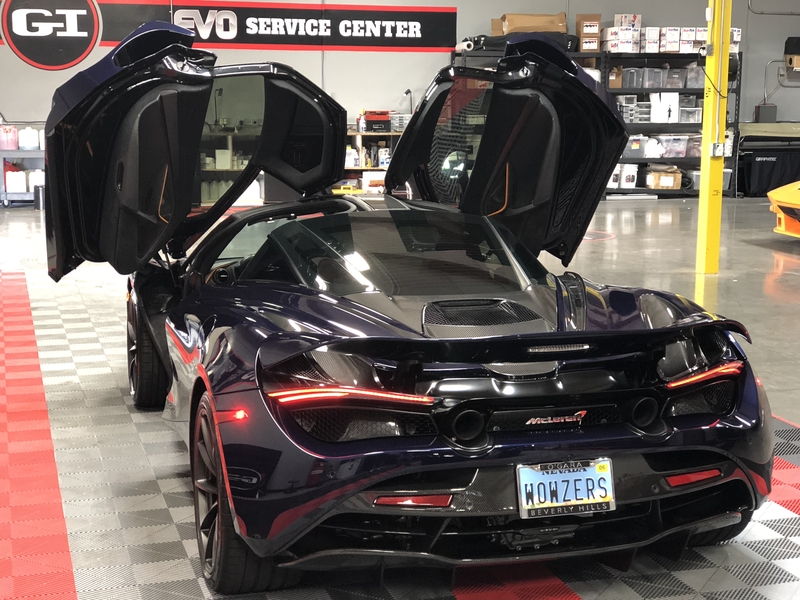 Some Local Las Vegas clients will want custom coverage not covered by the pre-cut kit, or will have a rare vehicle for which no kit is available. Then it is time to go custom. 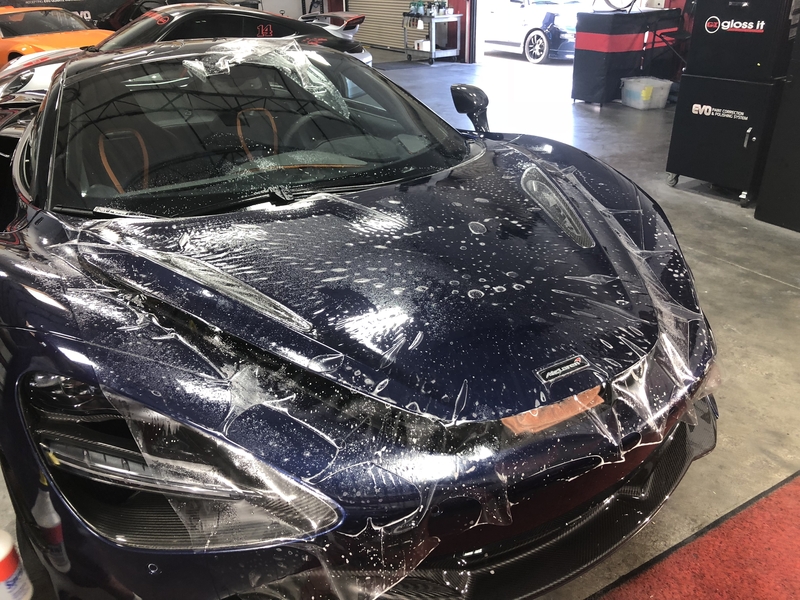 Our Las Vegas Based Paint Protection Film installers are trained and certified to install any amount of coverage perfectly and safely. We can start by knowing the make, model and year of your vehicle. We can cut the film and be ready to install when we receive your car. The first step will be determining how much coverage you would like on your vehicle. 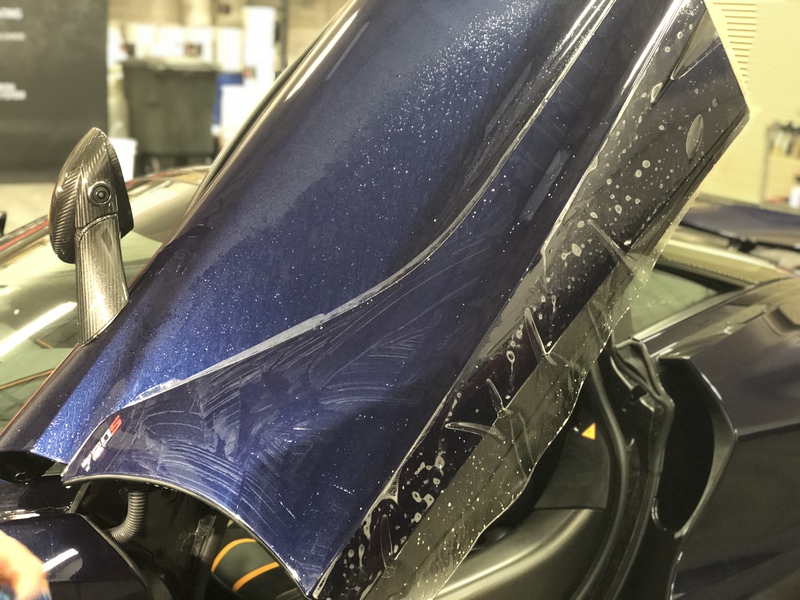 Completely covering your car’s painted surface is rarely necessary and Gloss It Detail Studio will help evaluate what protection is right for you depending on how and when the vehicle will be used. We can cover as little as 10% of your vehicle all the way to full coverage of the painted surface. Get an instant estimate by one of our Las Vegas Paint Protection Film Specialists. I always appreciate an honest business that sells a good product. What's more important is good customer service. Rich and his crew are the real-deal. My car is slick like glass and dust/grime wipe off with such ease. The paint looked better than it did when I first bought it... Now that's saying something. Cleaning the car has become a joy more than a chore. Even the wheels were quartz coated and cleaning them is easy. I opted in for a step one paint correction, 5H quartz coat, and a front bumper Paint Protection Film.